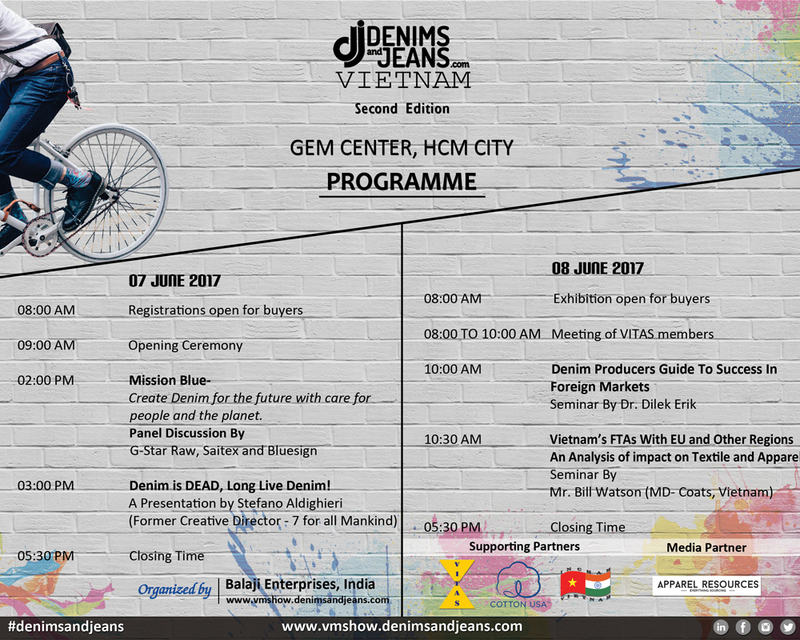 The Second Edition of Denimsandjeans arrives to HCMC in 2 days ! With over 48 companies , the show shall be bigger than the last edition and bring A number of important seminars and programmes come up at the show . First of all the opening ceremony will see some of the most important VIPs in the Vietnam textile and apparel industry share the stage for the inauguration. Chaiman of VITAS, MD of Vinatex, Deptt of Industry and Trade , Vietrade etc shall be present at the opening ceremony. G-Star , alongwith Saitex and Bluesign organize this panel discussion on bringing into focus the huge sustainability efforts by the brand alongwith their supply chain partners. The session will have presentations from the three companies and will be moderated by Bill Watson – the Managing Director of Coats, Vietnam. 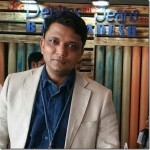 Renowned denim connoiseur and global expert , ex Creative Director of 7 for all Mankind and Levi’s brings out an interesting look at the direction of denim since its creation ; specially how it is moving in last few years and what can be expected in coming years. Vietnam Textile And Apparel Association will hold their members’ meeting at the show on 8th June at 8 am bringing focus to the denim industry . Mr Bill Watson, MD – Coats, Vietnam , will shed light on how the various FTAs , some of which are signed and some of which are under process, will affect the Textile and Apparel Industry in Vietnam. This will , again , be an important presentation for most of the attendees.